I have been asked why the pictures in the gallery show so many color variations but the order form does not give all of the color options that you see. The standard color’s that are available are Black, Mahogany and Natural(Tan). 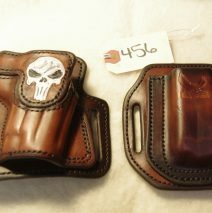 I do not dye holsters any other color unless you request it, then it would be an additional charge. First. The lighting the picture was taken in can distort the color some. Second. Every piece of leather takes dye differently therefore no holster will be exactly the same as any other unless the whole hide is dyed at the same time. This is what the large manufacturers do. The downfall to this is that you never see the beautiful grain of the leather and I can not see it when I cut the pieces to ensure that it will provide the correct stiffness and retention. 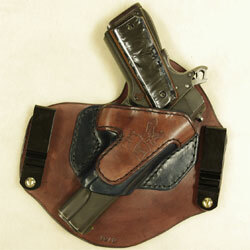 Every piece of your holster is hand-cut from natural leather and then dyed. 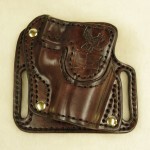 This allows me to dye each piece of your holster to your specifications with out charging more for the combination. That means that some times Black will have a blue hue and mahogany will look more brown. 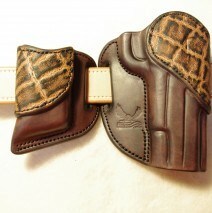 I do my best to provide consistent color on each holster but it may not be the same as the next one I make. I received your holster (Invisi-Tuck) quite some time ago and I have worn it in several circumstances. In the extreme heat and humidity I perspire quite profusely, however, I have had no significant issues in wearing this holster. When it is cold I do have a slight leather squeak issue, however, I am sure this will go away with time or using a very, very small amount of leather conditioner as it may effect the holster retention of the firearm if you use too much. By the way, the extra room you made me in the holster works great for my laser. No effect to the retention of the firearm at all. Folks…. let me tell you. 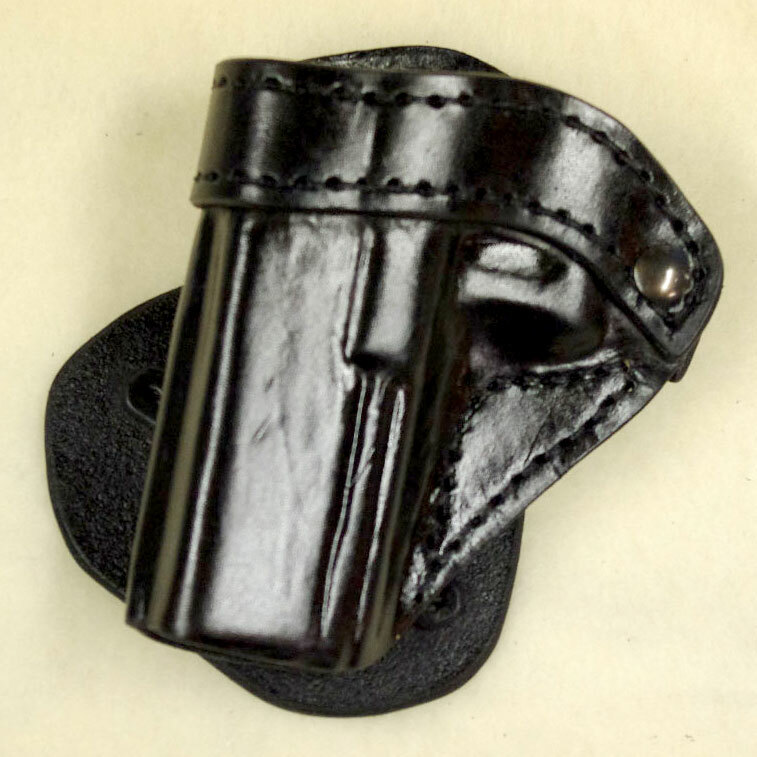 If you want to purchase a holster from a manufacturer that has an extreme eye for detail and excellent customer service techniques, along with a high and I would like to emphasize the word, “HIGH” regard for quality, this is the holster manufacturer I would suggest for you. I only have one complaint…….. 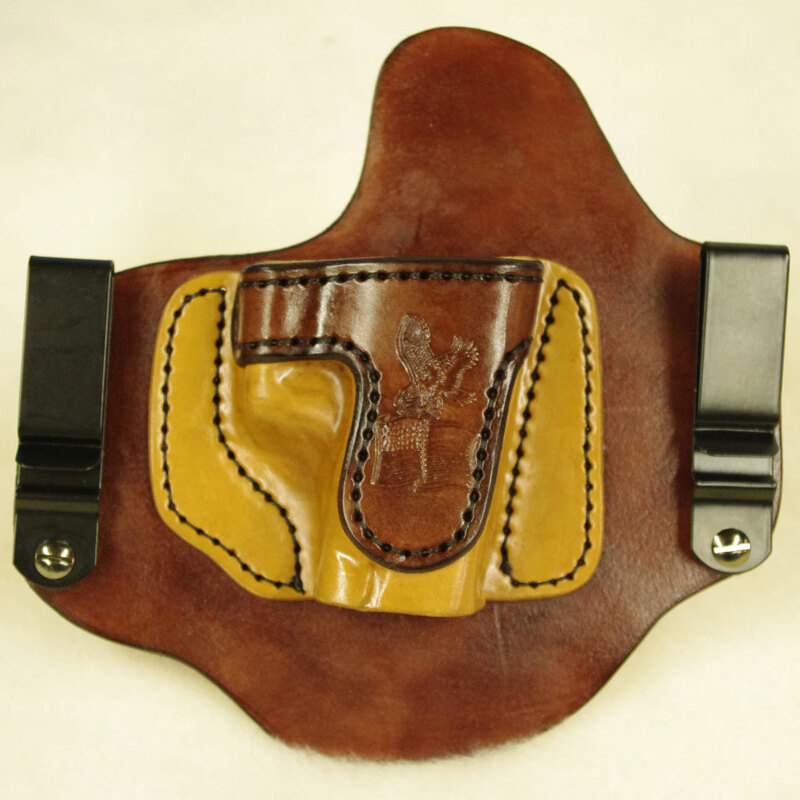 The darn holster looks so darn good it is a shame I have to hide it inside the pants……..
Mr. Nelson, I hope that you and your family have a very Merry Christmas, and a Happy, Healthy, and Prosperous New Year. a hard time completing the Prosperous portion of New Year.